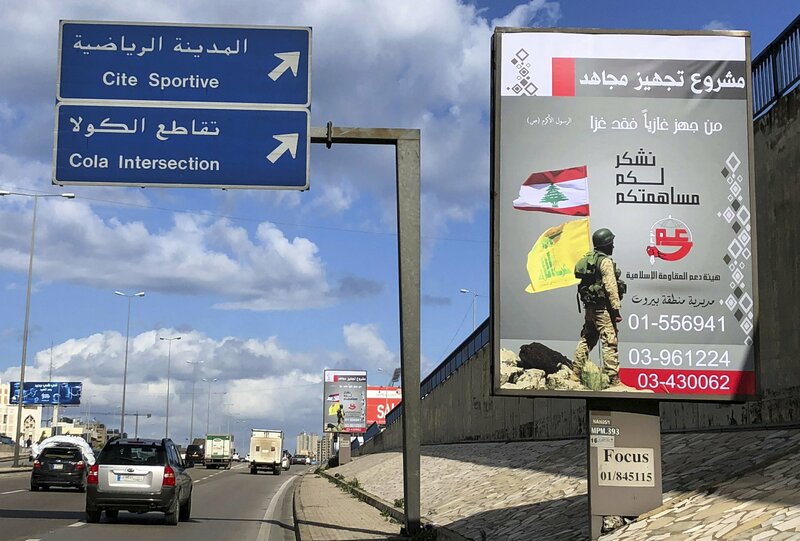 BEIRUT (AP) — Giant posters on the streets of Beirut’s southern Shiite suburbs display an armed Hezbollah fighter in uniform, holding the group’s yellow banner and Lebanon’s national flag, along with phone numbers where supporters can make donations to the Shiite guerrilla force. The latest hit came Oct. 15, when US Attorney General Jeff Sessions designated Hezbollah as one of five groups considered top transnational organized crime threats. The US State Department said in July that Iran has spent over $16 billion since 2012 supporting Assad and its proxies in Iraq and in Yemen, and it also gives $700 million a year to Hezbollah. It has also given the Syrian government $4 billion in lines of credit, it says. “I won’t say that the sanctions will not have an effect … They will have an effect for sure,” Hezbollah leader Sheikh Hassan Nasrallah said in a speech in August. Despite the tightening, the group hardly seems to be diminished from its status as the strongest fighting force in Lebanon — and one of the strongest in Syria — boasting an arsenal of rockets and a powerful political structure. Even if other funding streams are under strain, Hezbollah can still count on public contributions, which stream in through tens of thousands of metal donation boxes placed in shops, streets, mosques and schools in predominantly Shiite areas of Lebanon. President Donald Trump withdrew the United States from the nuclear accord with Iran, although the United Nations has repeatedly acknowledged Tehran was living up to the terms of the deal. Trump said he wanted stricter terms to limit Iran’s ballistic missile program, curtail its regional influence and forever limit its nuclear activities. Crushing US oil sanctions on Iran will resume in early November and already, American allies in Asia are cutting back on their purchases of Iranian crude. While European nations say they want the deal to continue, US clout in global financial markets led oil companies and airplane manufacturers to withdraw from working in Iran. Iran’s currency, the rial, has plummeted in value, and the downturn has sparked protests. Iranian-backed militias in Iraq are buffered to an extent from any financial crunch because they also get funding from the Baghdad government, which is nominally a US ally. The militias are part of the government-sanctioned paramilitary group known as the Popular Mobilization Forces, with some 100,000 fighters, who get salaries and equipment from the state.